During the past several years the mass media in the United States has been awash with reports of priestly pedophilia, ecclesiastical cover-up, and clerical intimidation or financial settlements intended to silence victims. Based on journalistic accounts, or scholarly research, it might be assumed that this is a recent phenomenon. Journalist reports began only within the past few years. Similarly, most sociologists of religion and particularly specialists in deviance and criminology did not reflect awareness of clerical misbehavior in their work. Despite this, Anson Shupe shows that clergy deviance, whether it is sexual or otherwise, is not merely a recent problem. It is as old as the church itself and is inevitably bound to recur due to the nature of religious groups. This comprehensive analysis offers the first up-to-date analysis of sexual, economic, and authoritative clergy malfeasance across faiths and denominational authority structures. 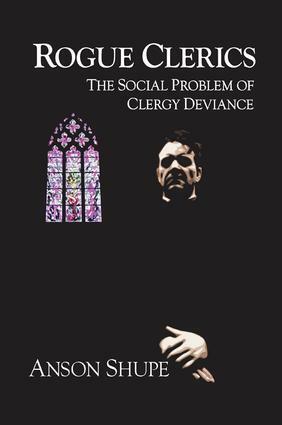 Drawing on examples taken from antiquity up until the present day, and using reports by historians, theologians, church spokespersons, therapists, social scientists, and journalists, Shupe critically evaluates clergy deviant behavior, dividing it into various types. He also makes use of the therapeutic literature, addressing victimization at the level of the individual, church, and community at large. In this way, he compares the response of the clergy to victims' attempts to mobilize movements calling for church reform. Perhaps most controversial, this book considers the possible relationship of homosexuality in the clergy to the occurrences of scandals in all religious traditions across the board. As an overview of clergy misconduct, this book is singular. There is simply no other comprehensive serious examination of this subject. Written by a sociologist for a wide range of readers, its multi-disciplinary nature, vivid examples, and wealth of research, will make the volume of interest to sociologists of religion and crime, historians and theologians, as well as a general public.